Maya is almost similar with Palki2. 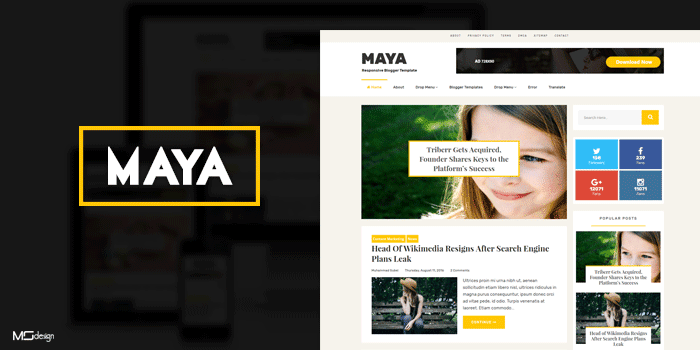 If you're running a blog with blogspot, then Maya will be perfect template for your blog. This is high quality and professional blogger template for blog. Get this awesome template for free with some features and if you wanna get full features of Maya, then you should buy full version template.